Comodo Dragon – A More Secure Internet Browser? Comodo, the developer of a number of very well known free applications including, Comodo Antivirus, Comodo Firewall, Comodo Time Machine, System Cleaner, and Comodo BackUp, has modified Google Chrome’s source code, and stripped out Google IDs and Identifiers – which increases both the user’s privacy, and security. As a result, we now have a new Internet Browser on the block – Comodo Dragon. At the same time, Comodo has managed to retain all of the best features of Chrome; functionality, speed, stability, and convenience. Currently, there is no support for Chrome extensions, but I’ve heard on the grapevine that this may be coming as early as next month. In an age when Internet threats present an ever-evolving, and increasingly sophisticated danger, to users’ privacy, specialty Internet Browsers like Comodo Dragon, are becoming much more popular. A particular area of concern at the moment, is the huge increase in the number of compromised Web sites, and Comodo Dragon may have a solution, according to Comodo’s site. 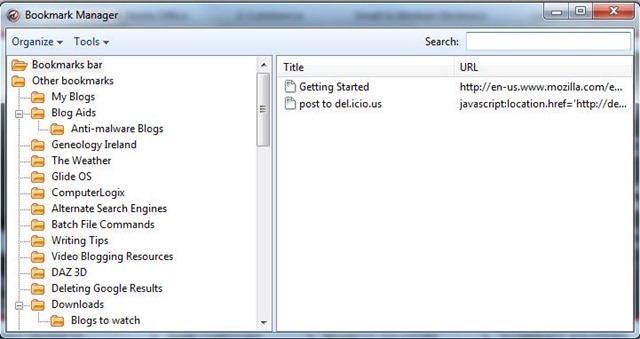 Comodo Dragon offers a new feature for Internet users. Websites all have digital certificates attesting to their identities, but some certificates offer more security than others. If it encounters a Domain-only certificate, it warns the user that the website may not be reliable. Domain-only certificates are available to any webmaster at low cost and with no verification, providing no guarantee of authentication. Installation is a breeze, and the opportunity to import selected items from the default Browser, can be handled from the application’s installer. The following graphic illustrates a successful importation of my Firefox bookmarks. 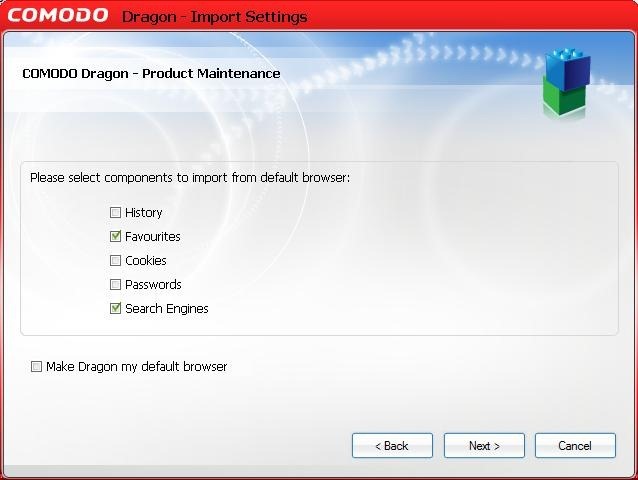 The following graphic illustrates Comodo Dragon’s minimalist UI. Cons: Lack of Chrome extension support. If Browser speed is your thing (a very subjective measurement, in my view), or you have limited faith in your Browser’s security functionality, then take Comodo Dragon for a spin and see what you think. System requirements: Windows XP, Vista and 7 (x64 not supported). I’ll be giving this a try, have been staying clear of google’s release. I hear ya Dave. If people read Google’s EULAS on privacy, I doubt anyone would ever install a Google app. Very timely article since I’ve been bouncing around the idea of an alternate browser to FF – just in case, type of thing. It’s always a good idea to have more than one Browser on your system. I uninstalled Chrome just the other day, after I realized they don’t guarantee any extensions on their site are virus free. They don’t say whether they even scan them or not. So I think I might give the Dragon a shot. I hear ya. I wasn’t too fussy about Chrome when I tested it, but I’ve left Comodo on my system – at least for now. I haven’t tried Flock yet – will have to do that. Although I didn’t istalled it. I can’t confirm it. The type of comments you refer to are rather subjective, in my view. Virtually all software developers want to collect application experience data from a user’s machine, whether the application is freeware, or commercial software. If a user decides not to allow this, they have the choice of not installing the application. However, on this site we have often cautioned readers to read EULAS for all software installs. 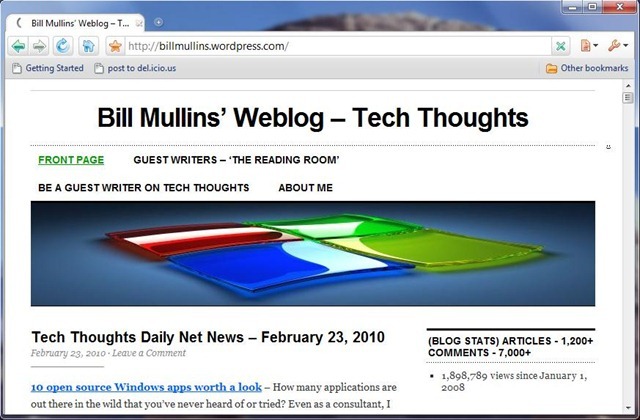 Bill and fellow Tech Thoughts reeaders: The version of Comodo Dragon out now is based on the Chrome 3 codebase, as the Chrome 4 codebase, which supports extensions was still in beta. We’re now well into the development of the next release of Dragon, which will be based on the Chrome4 codebase. It will support extensions as well as debut some additional Comodo security enhancements. Look for it around St. Patrick’s Day. Thanks for the update Bill. I look forward to the new build. I use SRWare’s Iron Browser. Same concept, except SRWare has been doing this since before Chrome production release, and the extensions all work. Sounds like Comodo is reinventing the wheel and breaking it at the same time. Appreciate the tip on Iron Browser. I plan to check that out. I like this browser, Chrome is fast but I know I’m being watched. I assume this browser is sandboxed as Chrome is. I quite like this Browser as well, and it is in fact sandboxed. Bill Fallon, over at Comodo, was telling me last week that the new version (due sometime mid March), will have additional security features. Looking forward to that. i have a problem with it importing my websites from chrome. whenever i get asked if which browser i would to import from, it only gives me 2 browsers which at IE and Firefox. I want it to import from Chrome since i have like a dozen tabs there. pls. help. How can i import from chrome to dragon? And yes. chrome is my default browser. how can i fix this? i really want to use this new browser.